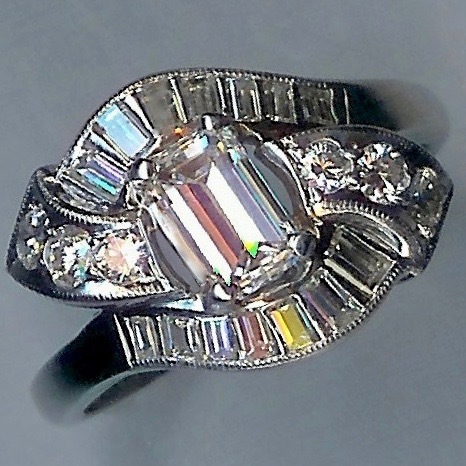 1950s Danish Silver 'Flowers' Bracelet [SH10127] - £225.00 : loveVintageDiamonds.com, Your Vintage Diamond Dreams Come True! 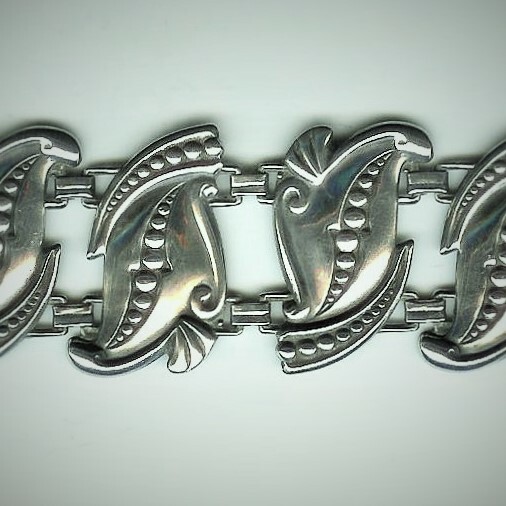 1950s Danish Silver 'Flowers' Bracelet. 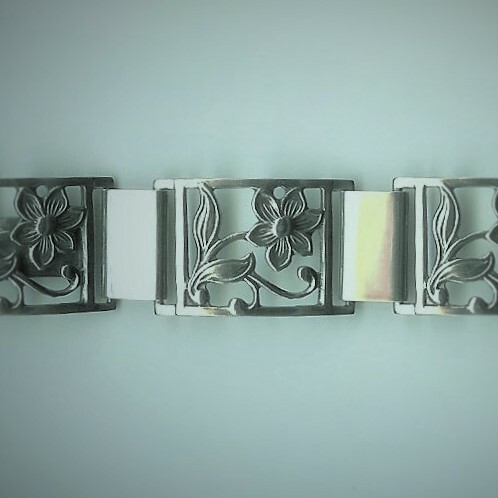 This bracelet, Danish in origin, is comprised of really pretty flower open-work design links alternating with smaller, plain, silver links, all rectangular in overall shape, and with seven of each link. 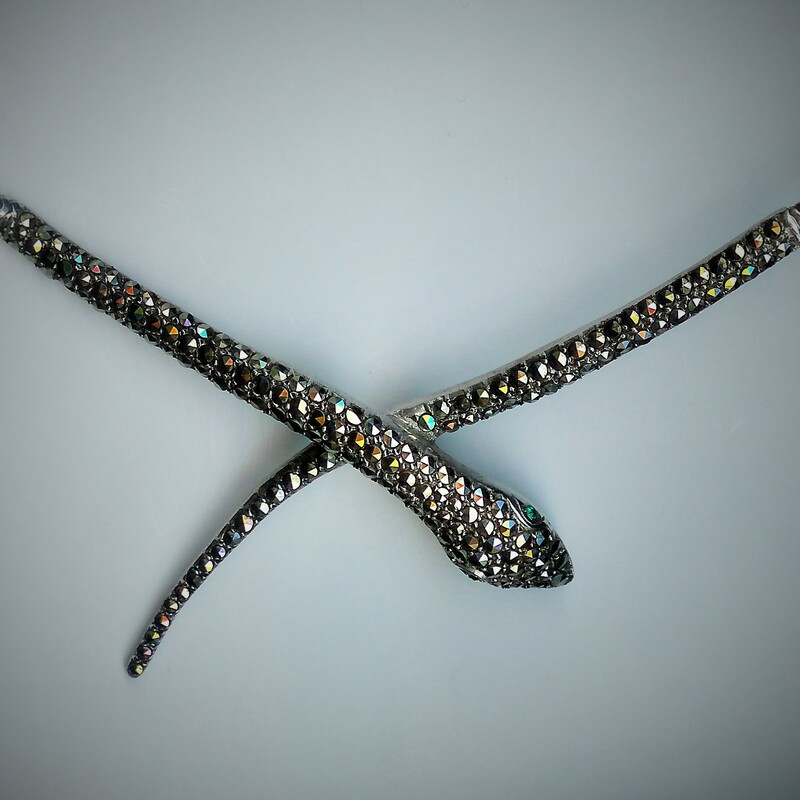 The bracelet's fastened length is just under 8.5" and its width is just under 0.75". The fastener of the bracelet is neatly concealed underneath one of the plain links. 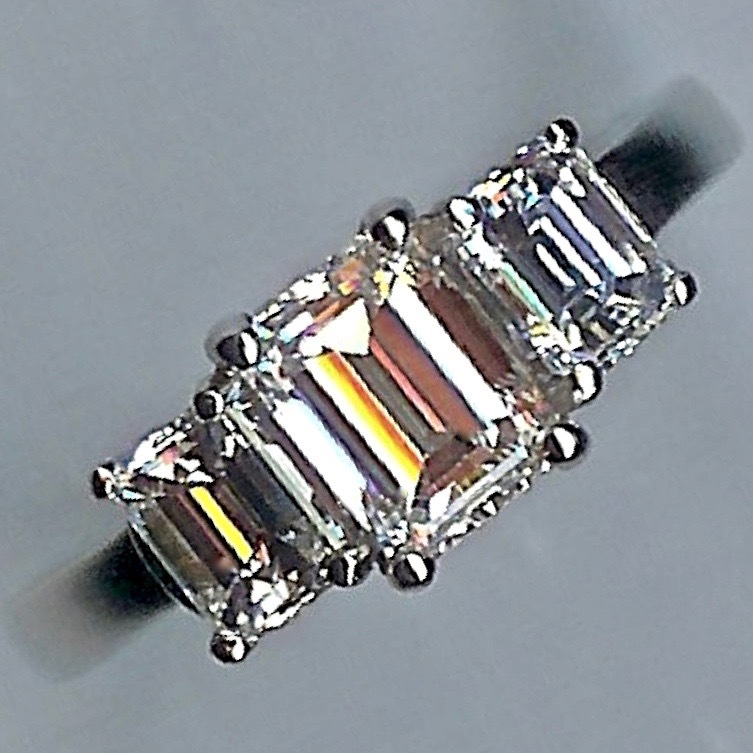 The overall weight of the bracelet is approximately 35.2gms.